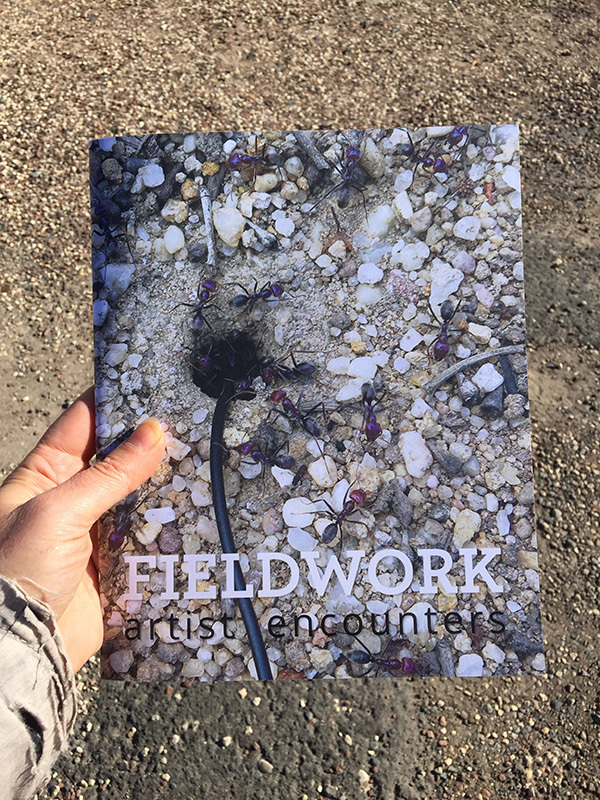 I curated the exhibition FIELDWORK: artist encounters to create spatial, conceptual, sonic and material conversations between recent works of a collection of artists with decades-long practice trajectories involving, in various ways, work in the field or of the field. Artists in the show were : Barbara Campbell, Eugene Carchesio, Maria Fernanda Cardoso, Jeff Doring, Helen Grace, Josephine Lie, Jon McCormack, Carl Warner, Gary Warner, Catherine Woo, and the collective Williams River Valley Artists’ Project (Suzanne Bartos, Neil Berecry Brown, Sue Callahan, Julet Fowler Smith, Noelene Lucas, Margaret Roberts, Toni Warburton, David Watson). The exhibition showed at Sydney College of the Arts Galleries, University of Sydney 7-30 July 2016. I wrote, designed and coordinated a 48 page saddle-stitched colour publication for the exhibition. Peter Thorne refined my design and managed print coordination of the publication.